We’ve got another crazy fudge flavor today! 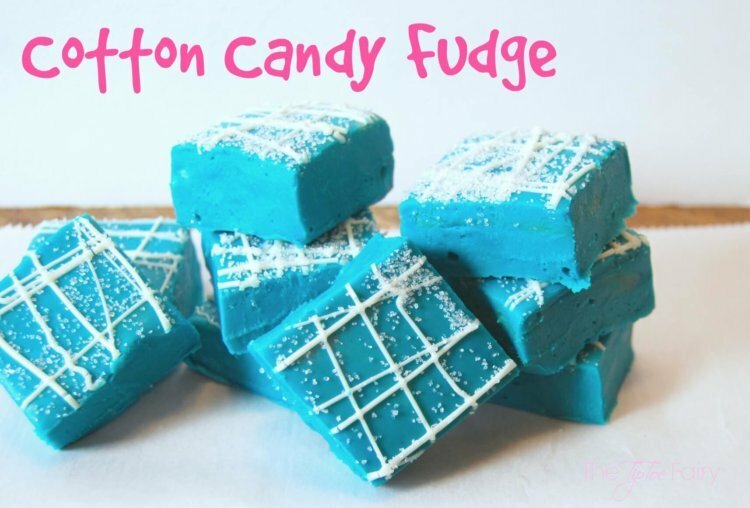 It’s Cotton Candy Fudge. 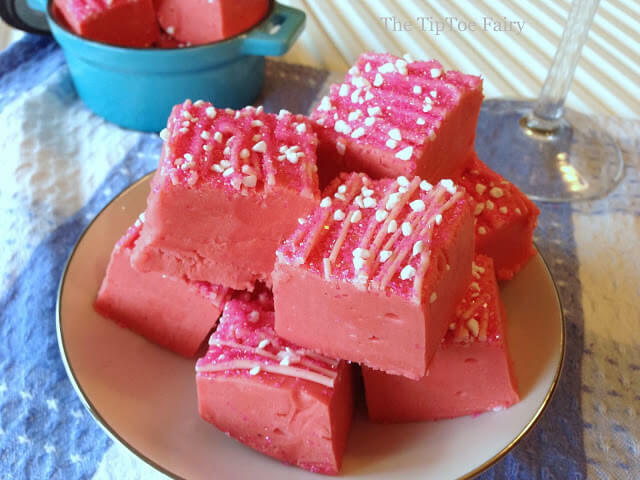 This recipe was inspired by the Bubblegum Fudge I shared not too long ago. 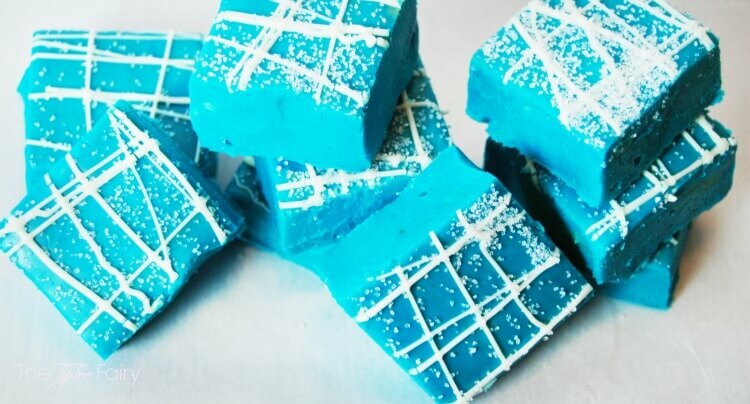 It’s super easy to make, and it melts in your mouth and tastes just like Cotton Candy. This was a recipe I’ve had to adapt as I used to make it from those fun Duncan Hines flavor creations. I wish they would bring those little flavor packets back. They were so easy to mix into so many things from frosting to cake and fudge. 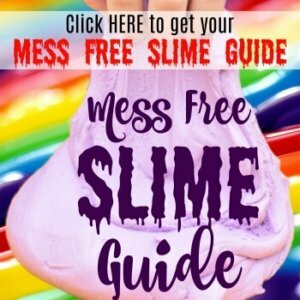 Now that they’re gone, I use LorAnn flavor oils and turquoise food coloring gel to get that cotton candy flavor and bright coloring. This is a perfect treat I like to serve at a birthday party or even a baby shower, or even packaged up totally cute as a take home gift. It’s also pretty popular at bake sales. When my middle daughter had bake sales in preschool, this was the big hit. Kids always choose it for the bright fun color. 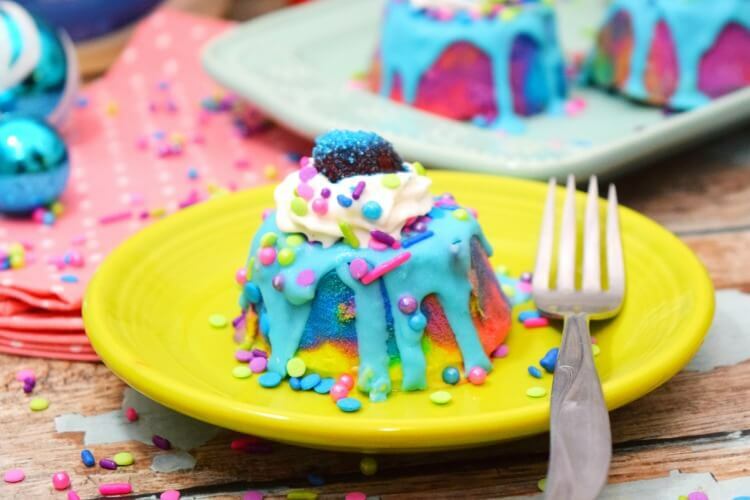 I chose to finish it off with white candy melts and white sanding sugar, but you can totally make this your own with coordinating bright colors like pink or purple, or even rainbow and call it Unicorn Fudge! So pretty! What a wonderful Spring treat. How fun! Headed over to see the full post! Stephanie, you did an awesome job for Dina and your blog is beautiful as always. I enjoy reading your blog very much. 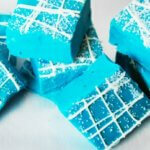 Just wanted to let you know that your fudge recipe is great and I know Dina ‘ s followers will appreciate it. Wonderful to have an idea for those little packets of flavor. I have them but never used them in anything yet, now I know. Have a great day! These would be so cute for a Frozen party!